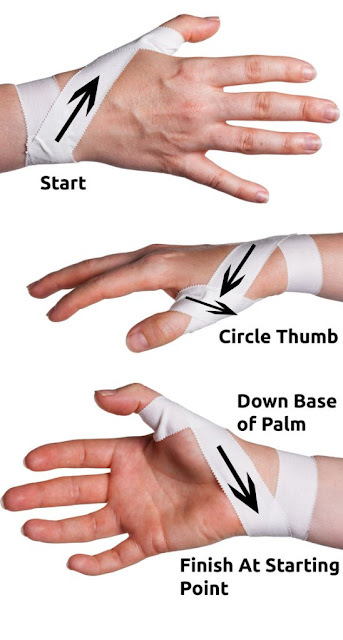 This taping technique will limit movement in the joint between the thumb and the hand to help the soft tissues heal after a thumb sprain. You use loops of tape around the thumb that attach to the wrist and ‘rein in’ the thumb to prevent it from moving. Step 4: Finally add a second anchor directly over the first anchor from step 1, to lock off the loose ends of tape. That’s it. 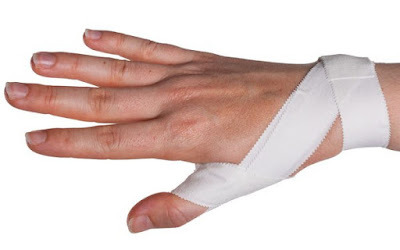 Tip: This technique will be helpful for lighter thumb sprains and in situations where you can’t wear a brace but still need to give some support to the thumb. 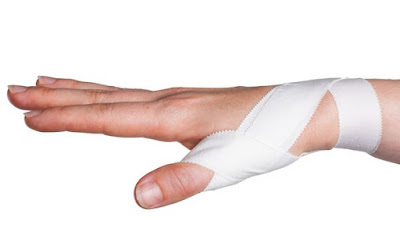 However, a more complete immobilization of the thumb using a splint or brace may be more effective than tape. 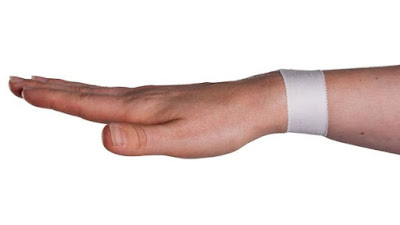 Therefore, you may wish to consider purchasing a thumb spica brace.